*Editor’s note: Dates, times, and other relevant event information has been updated in this blog to accurately reflect 2018 activities. 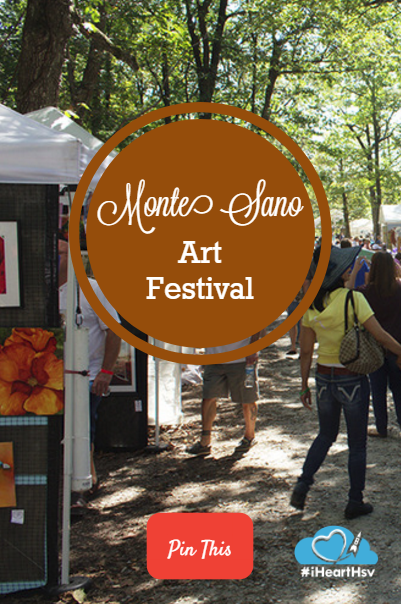 What could be better than a day spent enjoying both the natural beauty of Huntsville’s Monte Sano Mountain and the creations of more than 150 of the region’s finest artists? 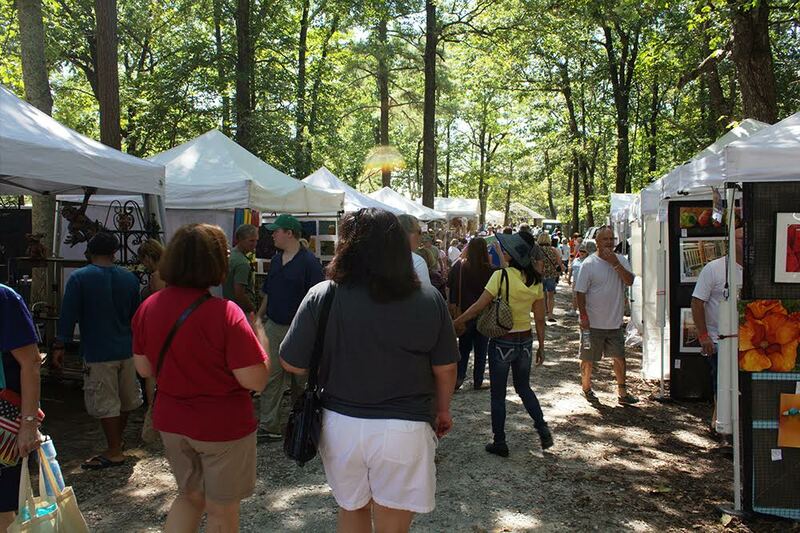 Enjoy the Monte Sano Art Festival September 15 and 16! 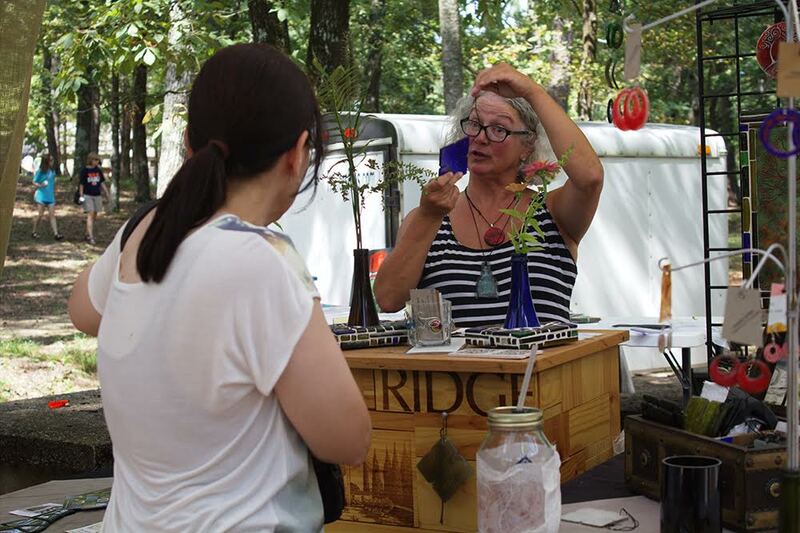 The festival, organized by Arts Huntsville and a team of volunteers and held at Monte Sano State Park, brings together jury-selected artists from around the Southeast. The event is free but you must pay *cash only* to park. Monte Sano State Park charges $10 per car for parking or $5 per person for walk-ins. This money goes directly to supporting our beautiful state parks. Festival hours are 9-5 on Saturday and 9-4 on Sunday. Many artists take credit cards and there’s an ATM in the park. However, cash is always welcome. The festival is great for all ages! Kids can enjoy free creative activities, rock painting, and $25 Spirited Art painting classes on site. Leashed pets are also welcome to the event on the Mountain. 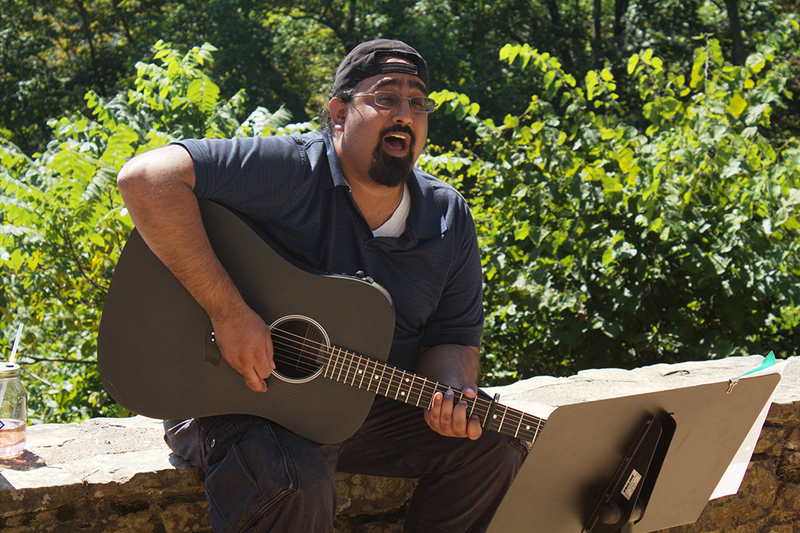 Adding to the atmosphere will be local musicians who will perform at Music on the Bluff or Music on the Pavilion. Musical performers include Winslow Davis, Jimmy Henderson, Alex D. Banks III, Alex Hendrix, The Beggar King, Remy Neal, Victoria Jones, Ashley Smith and Honeysuckle Blue. And, of course, two days of art and music will work up an appetite, so festival patrons can take advantage of a variety of local food trucks on hand, including In the Bun, D&B Conessions, Smallcakes Huntsville, Handel&apos;s Ice Cream, Wheely&apos;s Cafe, MSUMC Apple Bread, Buffalo Rock, Nothing Bundt Cakes, Rollin Lobstah, What&apos;s Popp&apos;N, Iceworks Shaved Ice, Piper & Leaf, and Suzy&apos;s Pops. Artisans at the festival work in a variety of media. You may find something that’s perfect for anywhere from your wall to your wrist. Offerings include paintings, photography, jewelry, pottery, sculpture and much more. The festival’s Facebook page has begun sharing previews of the artists, ranging from traditional Southern folk art to Asian-inspired pieces. 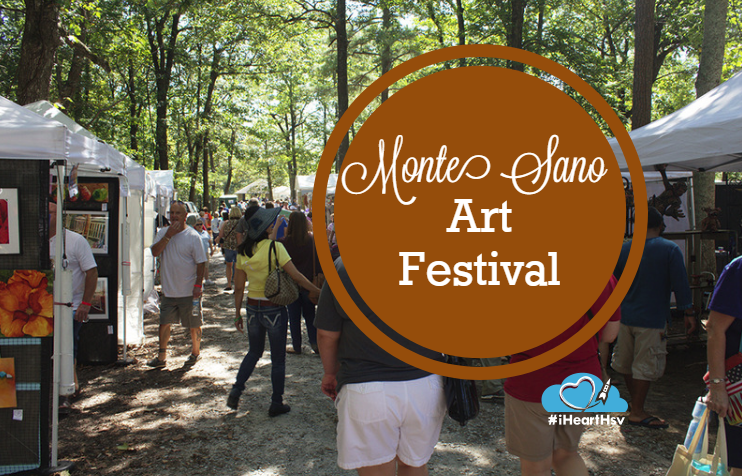 For more about the Monte Sano Art Festival, visit the Arts Huntsville website and for the latest updates, check out the Arts Huntsville on Facebook. David Hitt is a native of Huntsville who enjoys telling the stories of his hometown. He works in strategic communications for NASA’s Space Launch System, the rocket that will send astronauts to Mars and prove once again that nobody builds ‘em like the Rocket City. David tells Huntsville history stories at the Huntsville Ghost Walk, Constitution Village’s downtown trolley tour, and the Maple Hill Cemetery Stroll. He’s the author of two books on space history. 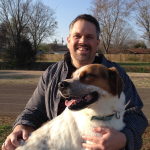 He wrote “Homesteading Space” and “Bold They Rise.” David also is the director of the Comic Science Improv comedy troupe.